With an irresistibly convenient location and highly competitive rates, Jiffy Airport Parking is Newark Liberty International Airport’s premier offsite parking lot. A recent venture of Propark America, who brought you Newark Liberty Parking, Jiffy Airport Parking offers the top-tier parking service you’ve come to rely on for your travels from EWR. Whether you’re planning a brief business trip or a long-term personal vacation, choose Jiffy Airport Parking as your go-to offsite parking provider at Newark Liberty International Airport. Conveniently located just moments away from the site of the airport, our spacious lot is easily accessible from both I-75 and I-98, making it the ideal parking area for travelers not only from Newark, New Jersey, but flyers based throughout the Tri-State Area, as well. Beyond our undeniably appealing location, we strive to provide both long-term and short-term travelers with competitive prices that help mark Jiffy Airport Parking as the region’s premier parking lot. We accomplish this by delivering excellent short- and long-term rates from the get-go while offering additional savings with the help of discounts for online reservations and a convenient loyalty program. Plus, Jiffy Airport Parking is pleased to accommodate corporate clients with a corporate program that helps your business secure significant discounts for premium employee parking. 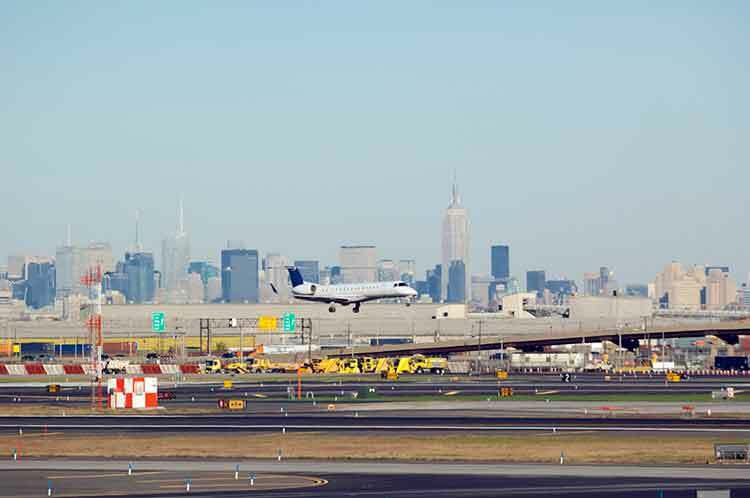 Once you’ve arrived at your spot in Newark’s Jiffy Airport Parking lot, getting to Newark Liberty International Airport is a breeze. Simply catch one of our shuttle buses, which operate 24 hours a day, seven days a week, to help you get where you need to go without a hassle, whether you’re embarking on an exciting journey or returning home to relax and recover from your time spent abroad. Seeking more information about all that Jiffy Airport Parking has to offer? Contact us by phone at (973) 242-0999 or submit your information via online form. Plus, be sure to connect with us on Facebook for contests, lot updates and much more.